An interview with investigative reporter Robert Whitaker, about the dramatic increase in mental illness disability and its surprising cause. Bruce Levine: So mental illness disability rates have doubled since 1987 and increased six-fold since 1955. And at the same time, psychiatric drug use greatly increased in the 1950s and 1960s, then skyrocketed after 1988 when Prozac hit the market, so now antidepressant and antipsychotic drugs alone gross more than $25 billion annually in the U.S. But as you know, correlation isn't causation. What makes you feel that the increase in psychiatric drug use is a big part of the reason for the increase in mental illness? Robert Whitaker: The rise in the disability rate due to mental illness is simply the starting point for the book. The disability numbers don't prove anything, but, given that this astonishing increase has occurred in lockstep with our society's increased use of psychiatric medications, the numbers do raise an obvious question. Could our drug-based paradigm of care, for some unforeseen reason, be fueling the increase in disability rates? And in order to investigate that question, you need to look at two things. First, do psychiatric medications alter the long-term course of mental disorders for the better, or for the worse? Do they increase the likelihood that a person will be able to function well over the long-term, or do they increase the likelihood that a person will end up on disability? Second, is it possible that a person with a mild disorder may have a bad reaction to an initial drug, and that puts the person onto a path that can lead to long-term disability. For instance, a person with a mild bout of depression may have a manic reaction to an antidepressant, and then is diagnosed with bipolar disorder and put on a cocktail of medications. Does that happen with any frequency? Could that be an iatrogenic [physician-caused illness] pathway that is helping to fuel the increase in the disability rates? So that's the starting point for the book. What I then did was look at what the scientific literature -- a literature that now extends over 50 years -- has to say about those questions. And the literature is remarkably consistent in the story it tells. Although psychiatric medications may be effective over the short term, they increase the likelihood that a person will become chronically ill over the long term. I was startled to see this picture emerge over and over again as I traced the long-term outcomes literature for schizophrenia, anxiety, depression, and bipolar illness. In addition, the scientific literature shows that many patients treated for a milder problem will worsen in response to a drug-- say have a manic episode after taking an antidepressant -- and that can lead to a new and more severe diagnosis like bipolar disorder. That is a well-documented iatrogenic pathway that is helping to fuel the increase in the disability numbers. Now there may be various cultural factors contributing to the increase in the number of disabled mentally ill in our society. But the outcomes literature -- and this really is a tragic story -- clearly shows that our drug-based paradigm of care is a primary cause. BL: I have a clinical practice and I have seen several examples of what you are talking about, and I had previously read several of the scientific studies that you detail in Anatomy of an Epidemic, so I am not exactly a naïve reader. However, in reading your book and seeing the enormity of the problem and just how much overwhelming evidence there is for a horrible crisis, I started getting a little sick to my stomach. I wonder, as you got into the research, did you start drawing comparisons to Rachel Carson and Silent Spring? Specifically, this is such a huge unnecessary tragedy, affecting several million people including children, yet there is virtually no discussion of it in the mass media. RW: A journalist friend of mine, who was a long-time reporter at the Washington Post and Newsday, said that he too was reminded of Silent Spring when he read Anatomy of an Epidemic. And, in fact, I was stunned by much of what I found when I was researching the book, and I did at times become overwhelmed by the magnitude of the tragedy. Let me give a specific example. When you research the rise of juvenile bipolar illness in this country, you see that it appears in lockstep with the prescribing of stimulants for ADHD and antidepressants for depression. Prior to the use of those medications, you find that researchers reported that manic-depressive illness, which is what bipolar illness was called at the time, virtually never occurred in prepubertal children. But once psychiatrists started putting "hyperactive" children on Ritalin, they started to see prepubertal children with manic symptoms. Same thing happened when psychiatrists started prescribing antidepressants to children and teenagers. A significant percentage had manic or hypomanic reactions to the antidepressants. Thus, we see these two iatrogenic pathways to a juvenile bipolar diagnosis documented in the medical literature. And then what happens to the children and teenagers who end up with this diagnosis? They are now put on heavier-duty drugs and often on a drug cocktail, and you find that they do poorly on that treatment. You find that a high percentage end up "rapid cyclers," which means they have severe "bipolar" symptoms, and that they can now be expected to be chronically ill throughout their lives. We also know that the atypical antipsychotics [such as Risperdal and Zyprexa] prescribed to bipolar children cause a host of physical problems, and there is pretty good evidence that they cause cognitive decline over the long term. When you add up all this information, you end up documenting a story of how the lives of hundreds of thousands of children in the United States have been destroyed in this way. In fact, I think that the number of children and teenagers that have ended up "bipolar" after being treated with a stimulant or an antidepressant is now well over one million. This is a story of harm done on an unimaginable scale. So why hasn't the media reported on this? The answer is that the media, when it covers medicine, basically repeats the narrative fashioned by the academic doctors who are leaders in the particular discipline, and in this case, academic psychiatrists have told a story of new illnesses -- like juvenile bipolar illness -- being "discovered," and of drugs for those treatments that are safe, effective and necessary. They tell this story to the public even as their own studies find that their juvenile bipolar patients -- who when they first came to a psychiatrist might simply have been "hyperactive" or struggling with a momentary bout of depression -- are ending up with severe bipolar symptoms and can now expect to be chronically ill for life. The problem is that our society trusts academic doctors to tell an honest story, and in this corner of medicine, it's quite easy to document -- and I did document this in Anatomy of an Epidemic -- that academic psychiatry has belied that trust. BL: Let's get to the issue of psychiatric medications fixing "chemical imbalances." This idea was absolutely crucial in making Prozac and other antidepressants attractive to depressed patients. However, these days even much of the psychiatry establishment has backed off the idea that depressed people have too little serotonin between their synapses and that antidepressants fix this chemical imbalance. Maybe it's just me, but I can't help but see the comparison between Big Pharma and the Bush Administration, which told Americans that the U.S. needed to invade Iraq because Saddam Hussein had weapons of mass destruction and he was connected to Al Qaeda. Of course, the Saddam Hussein-Al Qaeda connection was simply a lie, and the WMD rationale proved to be false. Do you believe that Big Pharma and establishment psychiatry were lying about this chemical imbalance theory at the time Prozac hit the market in 1988, or do you believe that they had hoped this theory was true because it sold drugs -- and it just turned out to be wrong? RW: The low-serotonin theory of depression was first investigated in the 1970s and early 1980s, and those studies did not find that people diagnosed with depression had "low serotonin." As the NIMH [National Institute of Mental Health] noted in 1984 at the conclusion of such investigations: "Elevations or decrements in the functioning of serotonergic systems per se are not likely to be associated with depression." So why was the public told differently? The answer is a bit complicated. In the late 1970s, the market for psychiatric drugs declined and psychiatry suddenly saw itself as a profession under "siege," having now to compete with a burgeoning number of psychologists and other non-physician therapists for patients. In response, the profession -- at its highest levels -- decided to sell the public on a biomedical model of mental disorders, as that model would naturally emphasize the importance of taking "medications" for a disease and it was only psychiatrists who could prescribe those drugs. This storytelling began with the publication of DSM-III in 1980, which the American Psychiatric Association (APA) heralded as a grand "scientific achievement," and then soon the APA was announcing that great discoveries were being made about the biology of mental disorders. And once psychiatry began to tell a story that wasn't science based, but rather was best described as a marketing campaign, I think it began to believe its own marketing slogans. I don't know this for a fact, but I am willing to bet that Bush, Rumsfeld, Cheney and others began to believe their own public pronouncements about weapons of mass destruction and a Saddam Hussein-Al Qaeda connection, and I think something similar to that happened in American psychiatry when Prozac came to market. The field stopped looking at the science that showed that the low-serotonin theory of depression had basically already flamed out, and instead began to believe its own propaganda. Moreover, the chemical-imbalance story did more than just spur sales of drugs. It provided psychiatrists with a desirable public image. They were now like doctors in infectious medicine and other respected specialties, their medications "like insulin for diabetes." The chemical-imbalance story told of medical progress, of a discipline that was unlocking the mysteries of the brain. Indeed, when Prozac came to market, there were newspaper stories about how psychiatry now had a new reason to "feel proud," and how its public image had improved. So in the late 1980s and early 1990s, the chemical imbalance story is not one that tells of how lying moved into the heart of the field, but rather how professional delusion did. At some later point, however, as the chemical imbalance story repeatedly fell apart, psychiatrists in the research community understood that they were telling a "fib." I can still remember -- this was the summer of 1998 -- when I questioned a prominent academic psychiatrist about whether the chemical imbalance story was really "true" and he replied by stating that it was a "useful metaphor" that "helped patients understand why they needed to take their medication." This really is the tragedy of modern psychiatry -- it became a medical discipline devoted to telling a public story that made its drugs look good, as opposed to telling a story rooted in honest science. BL: Big Pharma and their partners in establishment psychiatry would like the general public to believe that the only critics of psychiatry are Scientologists. In reality, most scientists who are critics of psychiatry are also critics of the pseudoscience of Scientology. It is my experience that serious critics of psychiatry are not anti-drug zealots. For example, I know that you have talked with "psychiatric survivors" -- ex-patients who want to reform mental health treatment. David Oaks, one of the leading activists in the psychiatric survivor movement, often repeats that some members of his MindFreedom organization continue to take their psychiatric drugs while many choose not to, and what MindFreedom and other psychiatric survivors are fighting for is truly informed choice and a wider range of treatment options. Do you think that David Oaks' fight is the right one? RW: Big Pharma and its partners in establishment psychiatry have smartly used Scientology to defuse criticism of their medications. I honestly believe that if Scientology weren't around, then our society could have a much more rational discussion about our drug-based paradigm of care. As for the position taken by MindFreedom and other psychiatric survivors, I basically do think that is the right one to take, with two caveats. In order to make a "truly informed choice," a person needs to know the long-term effects of a treatment. It's not enough for people to be fully informed about the immediate "side effects" of a drug. People need to be presented with information about whether such treatment has been shown to better the long-term course of the disorder, or worsen it. They need to be told about long-term physical and cognitive problems that often arise with every day use of psychiatric drugs. So providing people with a "truly informed choice" is a tall order. My second caveat is this: As a society, we expect the medical community to develop the best possible form of care. We do not expect a medical community to offer a therapy that regularly leads to a bad end. And so, if we were to draw up a blueprint for reforming the current paradigm of care, it would be nice if the psychiatric community would try to develop therapeutic approaches that involved using psychiatric medications in a selective, cautious way that best promoted good long-term outcomes. In other words, I think psychiatry does have a responsibility to develop a true evidence-based model for using its drugs, a model that incorporates the long-term outcomes data. In the solution section of Anatomy of an Epidemic, I write of how doctors and psychologists in northern Finland use antipsychotics in a selective, cautious manner when treating first-episode psychotic patients, and their long-term outcomes are, by far, the best in the Western World. So if you believe in evidence-based medicine, then American psychiatry should look to the Finnish program as a model for reform. Doctors have a responsibility to lead, but I think that you see in David Oaks' position a belief that establishment psychiatry in America cannot be trusted to provide such leadership. He's right to believe that, of course, and that's what is so tragic about modern American psychiatry. Listed below are links to blogs that reference this entry: Are Prozac and Other Psychiatric Drugs Causing the Astonishing Rise of Mental Illness in America?. I think this rise coincides with water fluoridation. Fluoride is a neurotoxin. It lowers I.Q. in infants. The CDC recommended that new mothers not use tap water to mix formula because of the brain damage. Fluoride causes depression. These are the reasons that fluoride was banned in Europe over a decade ago. This issue really highlights who has been in control of America for a long time. 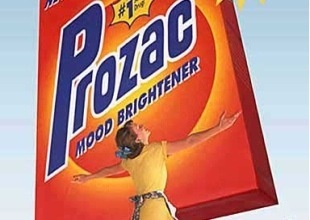 jeanruss commented on Are Prozac and Other Psychiatric Drugs Causing the Astonishing Rise of Mental Illness in America? This page contains a single entry by Toni published on April 29, 2010 12:47 PM. 'Consumers Aren't Ready for GM Crops' was the previous entry in this blog. Airlines are ignoring studies revealing toxic effects of contaminated air entering the cabin and cockpit is the next entry in this blog.